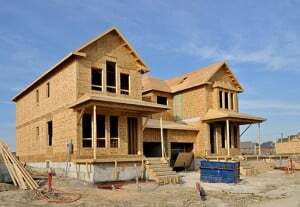 Are you a contractor or developer building a new home or subdivision? We know you’ve put a lot of thought into the layouts, paint colors and designs, but don’t want to overlook the heart of the home – the HVAC system. You want a company associated with quality products and groups, such as the Northern American Technician Excellence program and the Air Conditioning Contractors of America. Additionally, our new construction team holds certifications from the BPI (Building Performance Institute), HERS (Home Energy Rating Systems), RESNET (Residential Energy Services Network) and the Florida Solar Energy Center. We specialize in residential new construction, and we know the importance of staying in budget and finishing on time. Poor installation can and will lead to callbacks and customer complaints. We know you’re busy and don’t have time for that. And, with contractor pricing, we can install a wide variety of top quality comfort systems and upgrade packages that will suit your budget. We stand behind our all of our products and services with a 100% satisfaction guarantee. Our install teams are amongst the best in the business – we even have our own in-house design team. And, we’ve had a hand in helping build over 50,000 homes throughout the South Florida market. Interested? Let’s talk! Contact Lindstrom today and ask to speak with someone in the new construction department to get started.